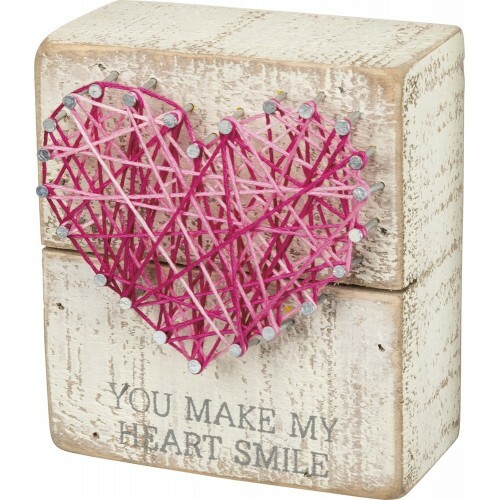 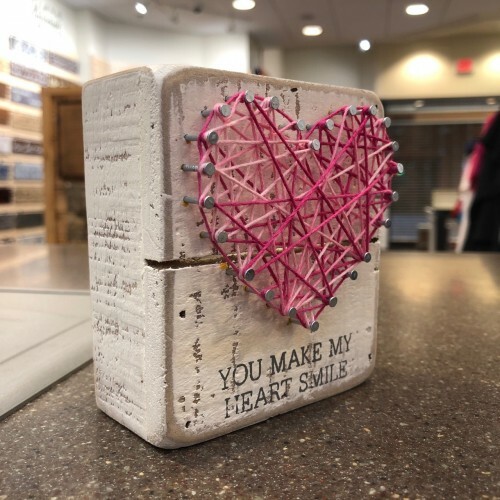 You Make My Heart Smile - Novelty Solutions | Creative Sign Solutions, Inc.
A slat wood box sign featuring hand-strung pink heart design and distressed "You Make My Heart Smile" bottom sentiment. 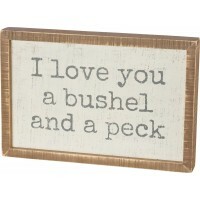 Complements well with existing décor and is easy to hang or can free-stand alone on a shelf or mantel. 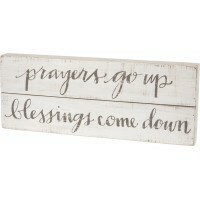 A distressed slat wood box sign lending hand lettered "Prayers Go Up - Blessings Come Down" sentimen..
A wooden box sign lending an inset "I Love You A Bushel And A Peck" sentiment. 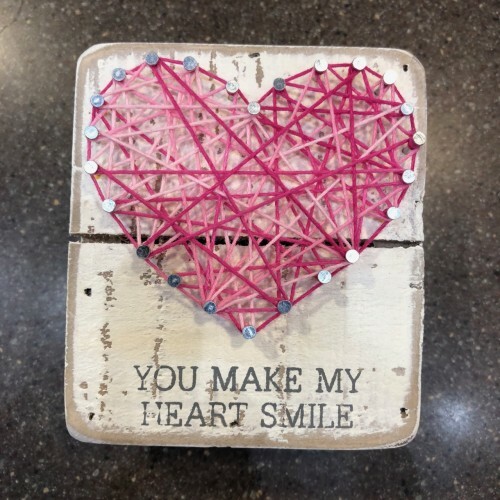 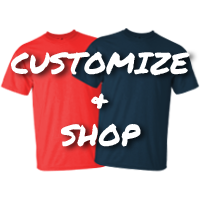 Easy to hang or can f..